Sometimes information that forms our intellectual understanding of the human person requires that we take a step back and revisit the writings that help us come to the proper conclusion that human personhood begins when the human being begins, at his biological beginning. Here is such a document, written carefully and with remarkable attention to detail by Professor Dianne Irving. 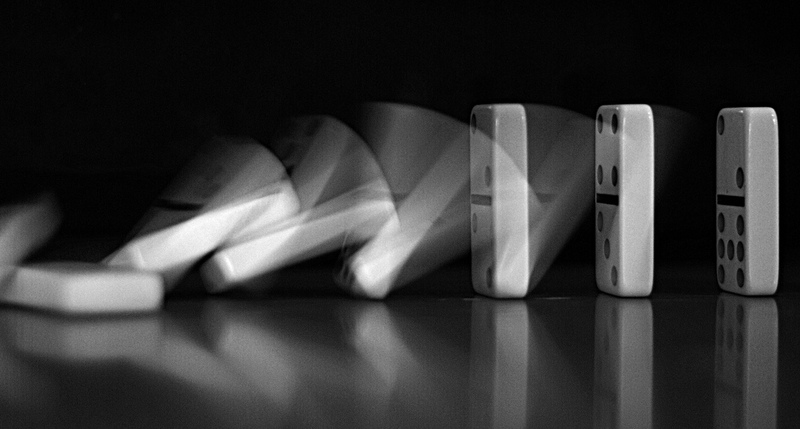 This paper, entitled “The Domino Effect,” has special meaning to us at American Life League. In fact, it is such a seminal paper that we did our best to gain the attention of the Pontifical Academy for Life in 2011 when I was still a member. Sadly, those in charge were not interested, but that does not change the truth of what you are about to read. Most issues in medical ethics require a sound understanding of “human personhood.” While the issue of personhood itself is a philosophical question and cannot be determined empirically, it is possible to determine with empirical and scientific accuracy when the material aspect of a human being begins to exist. Scientifically, for over 100 years, it has been documented empirically that, in human sexual reproduction, the material aspect of a human being begins to exist when the sperm makes first contact with the oocyte at the beginning of the process of fertilization. In human asexual reproduction, a human being begins to exist when the DNA in a cell and its other cell constituents are “appropriately reorganized” (i.e., are “reorganized”) within the cell in such a way that the cell becomes a new human organism (i.e., a new human being). Philosophically, a human person is defined properly as a human being who possesses a rational soul, and that rational soul must always include all three powers of the soul simultaneously—the sensitive, vegetative, and rational powers of the soul cannot be separated. No power of the soul can exist alone, and no whole soul can exist alone without the human body. There is no “soul/soul” split and no “soul/body” split. Therefore, there is no delay between when a human being and when a human person begin to exist. The human being and the human person refer to the same being and must always exist simultaneously. Since we can know empirically when the material aspect of a human being begins to exist, we can therefore reason back to when that human person begins to exist. Thus, the human person must begin to exist immediately when the human being begins to exist. When discussing medical ethics questions that involve when a human being begins to exist, it is crucial that the starting point of our inquiry is empirically based (i.e., based on the accurate scientific facts of human embryology). The need for scientific accuracy becomes particularly clear when addressing the legal protection of the right to life of all human beings. However, there are some —including some Catholics—who do not understand the need for accurate language. And yet Catholics should understand this need more than anyone else, for the following reason: To make a scientific error at the beginning, in determining when a human being begins to exist, will automatically cause an error in determining philosophically when a human person begins to exist—which, in turn, will destroy our understanding of the foundation of the natural law and the moral law. And that will ultimately bring to an end the moral authority of the Catholic Church and her teachings on the value and dignity of the human person. 1. If the scientific definition of a “human being” and when he/she begins to exist is scientifically false, then the philosophical definition of a “human person” and when he/she begins to exist is automatically false and therefore invalid. This is especially a problem when false scientific “facts” are used as false empirical starting points for the purpose of falsely claiming that there is a delay or “split” between the human being and the human person. Erroneous definitions of a human person can be (and already have been) applied to virtually every bioethical question. Instead of understanding that there is only one human soul that possesses three different powers—the vegetative, sensitive, and rational powers—many bioethicists claim that there are three human souls—the vegetative, sensitive, and rational souls—and that they are added to the human body one at a time. That is, they claim that first the human body possesses the vegetative soul, then later the sensitive soul is added, and even later the rational soul is added. It is the rational soul, they claim, that confers personhood on that human being. So, in the view of these bioethicists, before the rational soul is present, certain actions are ethically justified because there is no person there (e.g., abortion, the use of abortifacients, infanticide, destructive human embryo and fetal research, human cloning, human genetic engineering, etc.). They also apply those erroneous bioethical concepts of the soul to the end of life. Thus, they claim, first the rational soul leaves the body (and thus personhood is lost), then the sensitive soul leaves the body, and finally there is nothing left there but a human vegetative soul—the very basis of their claim that there is a “vegetative state.” This erroneous belief allows them to justify withholding/withdrawing food, hydration, and oxygen; withholding/withdrawing medical care and other forms of euthanasia; physician-assisted suicide; erroneous definitions of death; illicit organ transplantation, etc. For Part II of this insightful commentary, read Judie Brown's column on Friday, November 17. Dr. Irving is a professor of the history of philosophy and medical ethics and former career-appointed bench research biochemist/biologist for the National Institutes of Health and National Cancer Institute. She earned an M.A. and Ph.D. in philosophy from Georgetown University in Washington, D.C.